Will it be elementary for the AI in Africa? 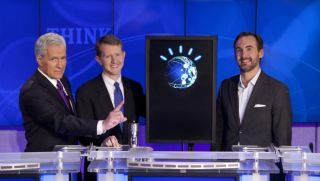 IBM, in its continuing goal to introduce cognitive computing to the world of tech, is embarking on a 10-year project to bring its Watson technology to Africa. Named "Project Lucy", the New York-based company will be investing $100 million (£61 million, AU$111 million) in the initiative, aiming to stimulate business opportunities and growth in the continent. IBM will also establish the pan-African "Centre of Excellence for Data-Driven Development" (CEDD) to recruit research partners, universities, startups and clients. Using the Watson technology that exploits artificial intelligence to quickly analyse large amounts of data, IBM hope to address developmental obstacles in Africa such as medical diagnoses, weather protection and disease control. The technology, IBM promises, will allow the poorer parts of Africa to leapfrog traditional stages of development which were before out of reach because of the cost. "In the last decade, Africa has been a tremendous growth story — yet the continent's challenges, stemming from population growth, water scarcity, disease, low agricultural yield, and other factors are impediments to inclusive economic growth," said Kamal Bhattacharya, director of IBM Research in Africa. "With the ability to learn from emerging patterns and discover new correlations, Watson's cognitive capabilities hold enormous potential in Africa – helping it to achieve in the next two decades what today's developed markets have achieved over two centuries." IBM will open innovation centres in Nigeria, Morocco and South Africa. It will also be opening its software-as-a-service portfolio to African universities.